A Bubble by Geneviève Castrée is undoubtedly a very tough read––especially give the board book format––but it hits a lot of relatable notes as readers watch a child narrate the daily ins and outs of having a mother with terminal cancer. 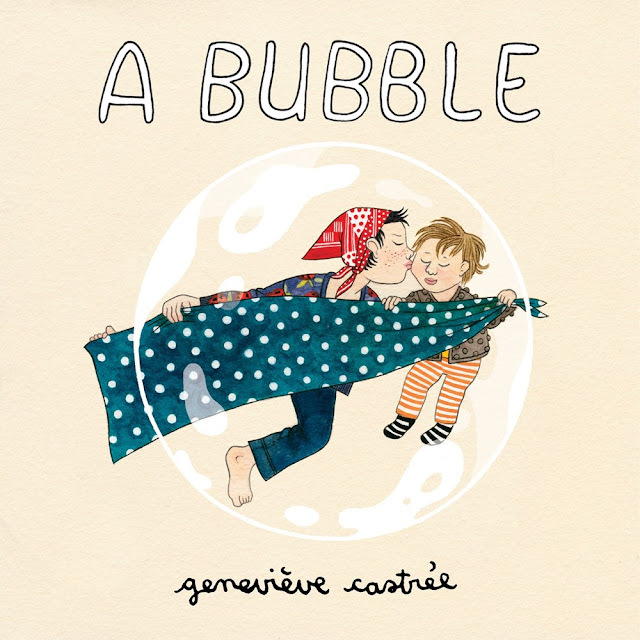 Geneviève Castrée was a Canadian cartoonist, illustrator, and musician who passed away in 2016 after a long battle with pancreatic cancer. She made A Bubble toward the end of her life as a gift for her two-year-old daughter, and sadly never got a chance to finish it. 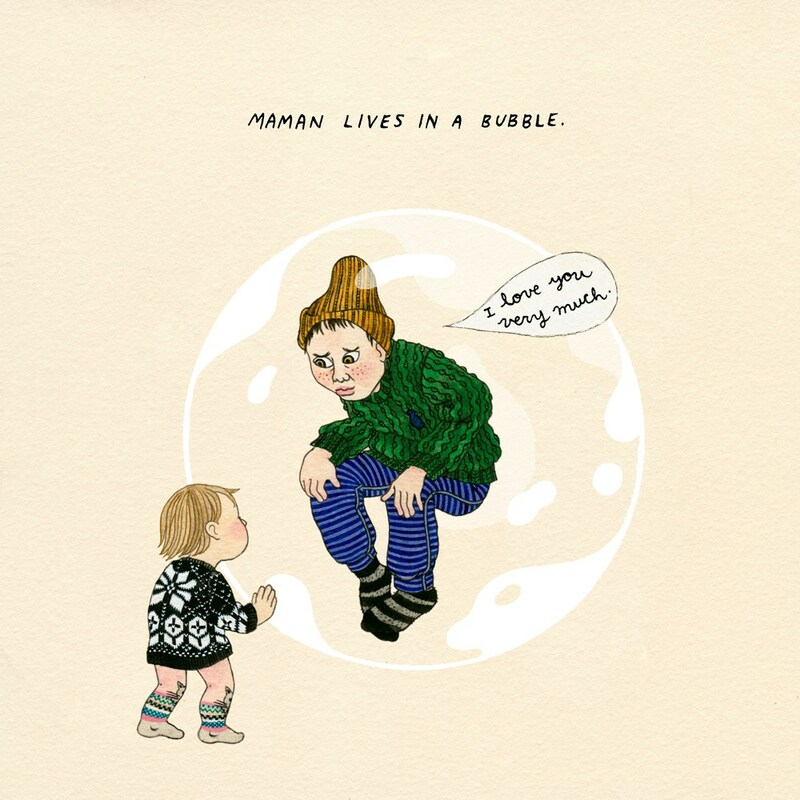 The textual narrative is told from the point of view of a very young child whose mother lies in a floating bubble. The little girl is allowed into the bubble sometimes, but she knows her mother can never leave the bubble and often misses out on things because of it. The visual narrative pushes the story even further, though. We see how tenderly the mother loves her child, and we watch the mother deteriorate. Eventually the bubble bursts, and the two head off for ice cream, thus ending the book. I have to say, the back cover is particularly intriguing: it's the mother walking off-screen so we only see a foot and a hand holding a bubble wand with a giant bubble in it; the little girl stands in the middle of the cover blowing her own bubble, albeit a much smaller one. A lot to think about and unpack, for sure. A Bubble published from Drawn and Quarterly earlier this year.